The Stal Hendrix Green Futurity Final has wrapped up its fourth year at HITS-on-the-Hudson, with only one taking home a blue ribbon and the winners share of the total purse of over $42,000 in prize money comprised of $25,000 guaranteed plus add-backs from all nomination fees. This year Laena Romond and TRAVELLER, owned by Catherine Cowie and trained by Andre Dignelli, were the pair that rose to the top. The top 25 horses after rounds one and two returned for the third round to determine the winners. Romond was in second place coming back for the fourth round with Patricia Griffith, Tracy Fenney, and Samantha Schaefer qualified for the final round as well. The fourth round was a true test for these young horses, even with their experienced riders. With several tight turns in the handy-type course, TRAVELLER had no problem maneuvering it with ease, earning a score of 88 and a total of 176 for the win, becoming the 4th Stal Hendrix Green Futurity Champion. "We love coming to HITS Saugerties with Heritage Farm. 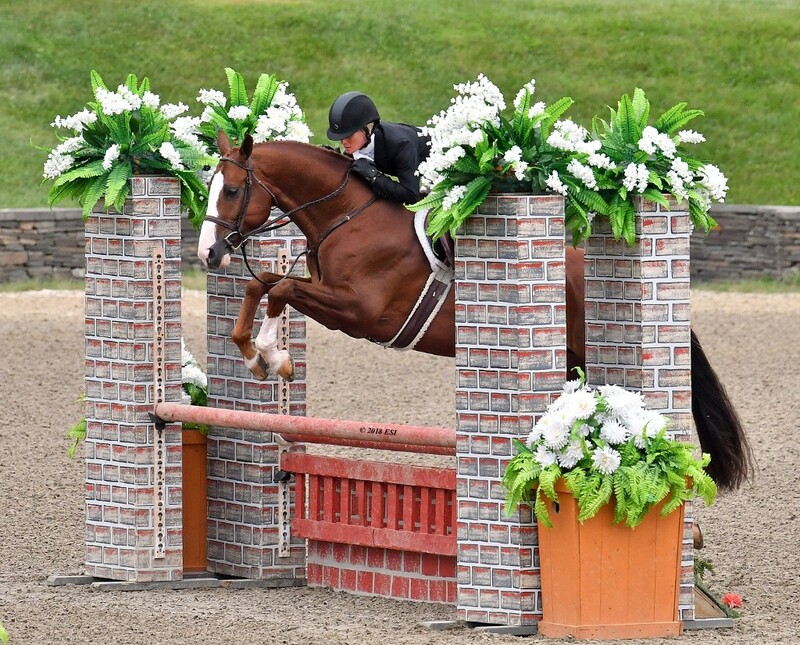 I am only about an hour and a half away so it is convenient and with classes offered from Grand Prix to the Short Stirrup, there is something for everyone," said Romond. 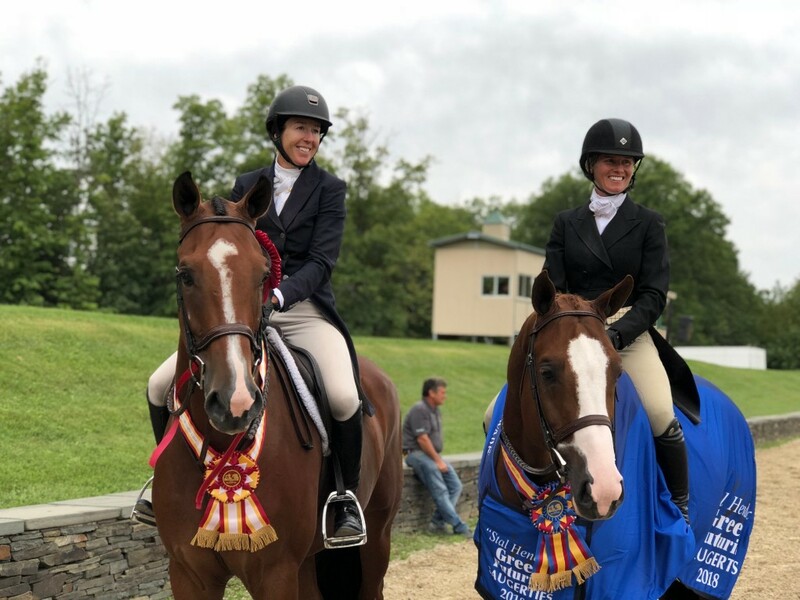 "I really loved that we were able to get these young horses in the Outside Course this week because the course was beautiful, the jumps looked great and the horses and riders were happy. It is great that HITS along with Stal Hendrix puts on this class for up-and-coming hunter horses and really showcases them." 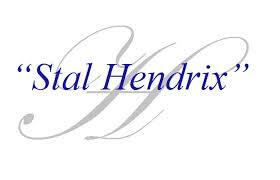 "The Stal Hendrix Futurity has been a great opportunity for our customers to showcase their young horses. It is a stepping stone for these horses to the 3'6" divisons, and really highlights some of the amazing hunter prospects out there. We are pleased with the growth of this program over the last four years and look forward to continuing this program, and our relationship with the Stal Hendrix as the title sponsor,"
Laena Romond and TRAVELLER in the final round of the Stal Hendrix Green Futurity. 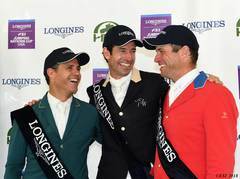 The good luck continued for Heritage Farm and Andre Dignelli as they earned the two top spots in the class. Griffith and SONDER scored an 86.5 in the third round which had them in fourth place before the final round. A strong score of 87 in the fourth round made for a combined score of 173.5 moving the pair up to second place overall. Third place was Fenney and MTM PAGE 6, owned by MTM Farm, with a combined score of 172, just 1.5 points behind Griffith. After a third round score of 87 put her in third place, Fenney rode the fourth round with confidence, but came up a bit short with a score of 85. Rounding out the top four was Schaefer and TRADEMARK, who had the top score of 90 in the third round. The gelding, owned by Take 3, LLC, had a bobble at the third fence and scored a 75 in the final round for an overall total of 165 and the white ribbon. The Stal Hendrix Green Futurity is in its fourth year at HITS Saugerties and gives green horses across the country an opportunity to win big. The futurity takes place over three days, with a unique four-round format over fences set at 3'. All horses compete in the first two rounds, a classic-style and a handy-style round. Scores are added together to determine the top twenty-five to return for the third round in reverse order of scores. Everyone starts with a clean slate in the third round, and the top four then come back for a final round to determine the winners. The total prize money of over $42,000 is distributed to all 25 who return for the third round. Founded in 1947, Stal Hendrix is known worldwide as an internationally-renowned breeding and trading yard with their largest clientele residing in North America and Europe. Selling horses is just one part of this incredible company, they are also involved in the training aspect, and of course organizing and sponsoring events such as the Stal Hendrix Green Hunter Futurity at HITS. Take a look at their 2018 Stallions!